Why me? 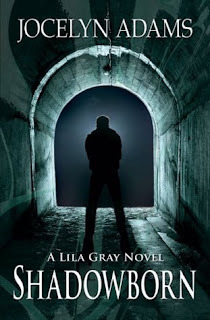 That’s the question Lila Gray asks every time yet another bad guy tries to destroy the earth, and she learns she’s the only one who can stop it. Once again, something’s on the prowl, leaving hundreds of comatose, soulless victims in its wake. Couldn’t the deadliest assassins of the Otherworld go after someone else instead of the brand new Queen of the Seelie? One who still hasn’t adapted to her new role. Lila would ask Liam Kane, King of the Unseelie, for advice, but something’s off with him, too. He’s holding back. In some way. About some thing. In fact, he refuses to tell her what’s going on. The truth holds Lila back from the greatness of her role—the people she was born to lead—the man who she desperately loves—and the solution to the latest war raging around her.To find the answers, she’ll need to fight through her own darkness and embark on a journey through her psyche. If she doesn’t succeed, the Shadowborn will claim not only her world, but her soul. The first book in Jocelyn Adams' Lila Gray series, The Glass Man, was awesome. The following book in the series, Shadowborn, is absolutely even more awesome; it's fantastic! The story is a whirlwind of strong emotions, for both the reader and characters, and promises to absorb every bit of attention from you. Lila, Queen of the Seelie, and Liam, King of the Unseelie, are both trying to gain control of their people. Their ultimate goal is to reunite the two fae factions, but with little knowledge of fae history and an unknown enemy after Lila, much stands in their way. Adams is a magnificent storyteller in the way she's able to put the heaviest burdens on her heroine's shoulders, while also giving her a way to handle them. Lila's path to fulfill the promise she made her mother is blocked by obstacle after obstacle, mostly obstacles created by her own mind. Thankfully, the people who continually surround her give her all the support she needs. I'm not sure what I had been expecting from Shadowborn, but it ventures down a path I never could have seen coming for the Lila Gray series. The fae in this story are unique and their background story adds to the overall mystery. I always felt that Lila and Liam's relationship was intense, but Adams takes it to a whole new level: heartbreaking, touching, and every inch of beautiful. I am so ready for Rise of the Magi, the next Lila Gray novel! Wow, I'm speechless. You have totally made my week. :) Thanks for the awesome review.